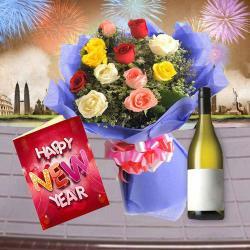 Product Consists : Glass Vase arrangement of 12 Mix Roses with some fillers along with New Year Greeting Card. 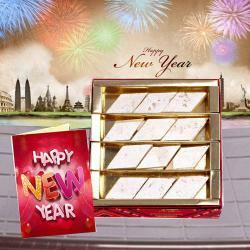 Give your special ones a reason to begin New Year with smiles by wooing them with exceptional gifts. 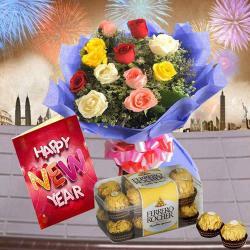 This is a mind blowing gift hamper that comprises of a bunch of 12 fragrant long stemmed roses in mixed colors like pink, yellow, red and orange, that are beautifully arranged in a glass vase and a heart melting greeting Card with a lovely New Year wishes message inside. 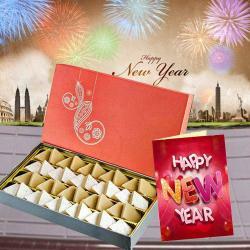 This exotic gift hamper is all set to touch hearts of your loved ones with warmth of your love. So place your order now. 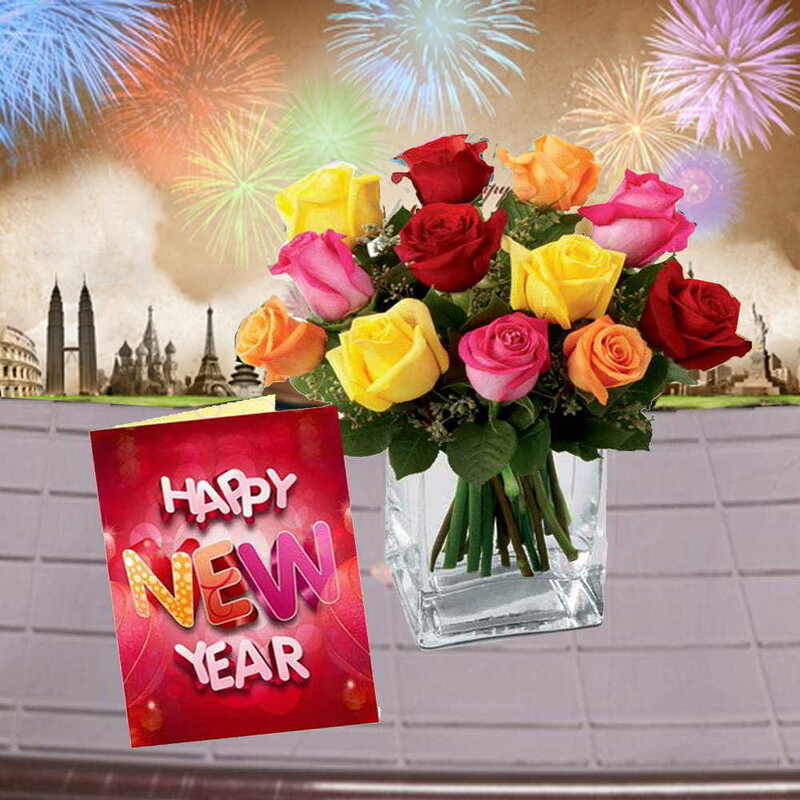 Product Consists : Glass Vase arrangement of 12 Mix Roses with some fillers along with New Year Greeting Card.